You turn on your shower and nothing comes out. But, the water is flowing out of the spout below. 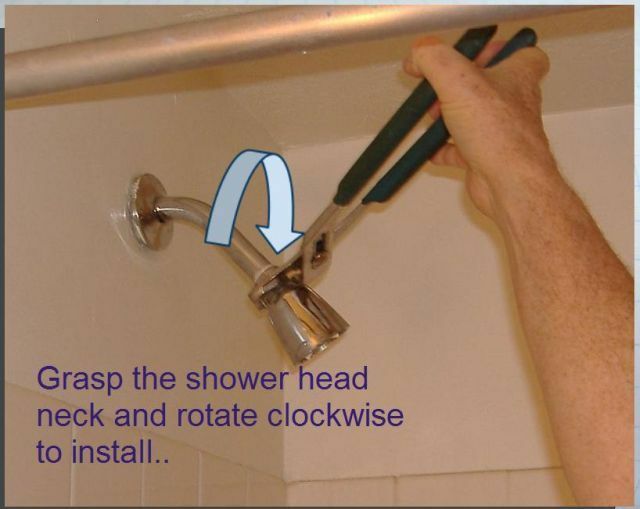 Step 1: Unloosen the Shower Head..
First you need to inpect the shower head for blockage. Use slipjoint pliers to unscrew the head from the supply tube. you can unscrew it the rest of the way with your fingers. will come out.. don't get wet. Now, look down inside of your shower head and see if there's something in there. Usually there is only a small hole here and it plugs easily. Step 4: Reinstall the Head. Tighten by hand. If the tape stays on it will seal again. If not, you should add some plumbers tape or teflon paste here. Step 5: Righty Tighty Lefty Loosey..
Once you tighten the shower head back onto the tube, test it. If it leaks tighten it some more. Be careful not to overtighten. Step 6: With Some Luck.. While you have the shower head off, soak it overnight in a small bowl of vinegar to disolve the built up lime and it will run like brand new.